Morecambe boss Jim Bentley insists his side can shock high-flying Northampton of Saturday. Chris Wilder’s second-placed Cobblers have won nine of their last 10 games but The Shrimps are unbeaten in their last four with their last away win at Wycombe ending the Chairboys’ three-game winning streak. Bentley expects the meeting of League 2’s two top scorers to be an entertaining game as Morecambe begin a run of five games in two weeks. He said: “It’s a game where no-one will give us any hope. “They’ve won nine out of the last 10 and are the leading goalscorers in the division. “But we’re second, they’re defensive record hasn’t been great and ours hasn’t been great so it’s got the makings of a good game. “We know it will be a tough game for us but we’re four unbeaten ourselves. “Nobody really gave us a chance last time we went away to Wycombe and we won that game. “Nothing changes, I’m sure Chris Wilder won’t be underestimating us and we certainly won’t be underestimating them. Bentley says he has lots of admiration for Wilder who has turned Northampton from a side struggling to stay in the Football League to one with ambitions to make it into League 1. The Shrimps boss said: “They’re right in the promotion places and seem to have got the financial difficulties behind them. “Chris Wilder’s a good manager, one of the ones I’ve got a lot of time for. “I’ve known Chris a lot of years and he knows the league inside out. “What he has done is recruited well. They’ve got a nice balanced squad with two quality players for each position. 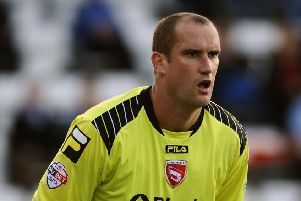 “You can see that with the likes of (James) Collins coming in (from Shrewsbury) who is very similar to Mark Richards. “In the wide areas they’ve got (Lawson) D’Ath, (Ricky) Holmes, (Nicky) Adams and people like that.